Kimberbell has done it again! 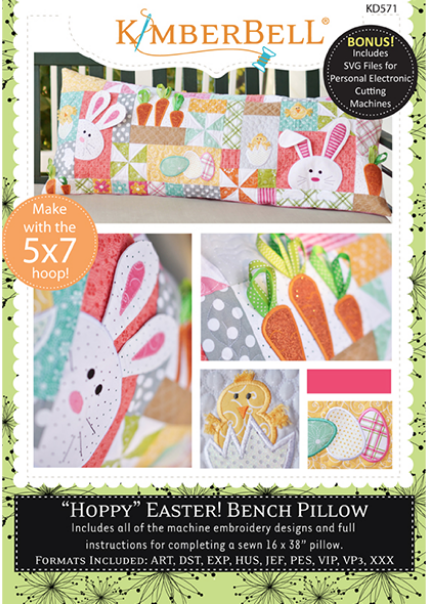 Peek-a-boo bunnies and downy chicks join a parade of pieced and appliquéd blocks with dimensional elements. We love the polka dot glitter eggs and fringed fluff for wings on the just hatched chicks. Floppy ears and sprouting carrots finish off the multitude of techniques you will use in this darling project!